Having a complete mastery over the basics is insanely crucial when it comes to making trap beats. That’s because the fundamental elements to producing trap beats are the hard knocking Drums and catchy Melodies. But most amateur trap producers tend to focus on these elements separately instead of blending these elements cohesively like in a RL Grime or Boombox Cartel track. That’s exactly why we created the “Lookouts” Project File. With this Trap project file, you’ll be able to see exactly how professional producers get their mixdown to be extremely clean and crisp, and exactly which effects are being applied to each audio track. Not only that, but by reverse engineering the innovative presets used in the project, you’ll be able to learn advanced sound design techniques that can take years to learn. Every time you open up the project, you’ll learn a new technique that you can instantly apply to your own tracks! Don’t wait another minute to become the Trap producer you’ve always wanted to be. Download the “Lookouts” Project File now. 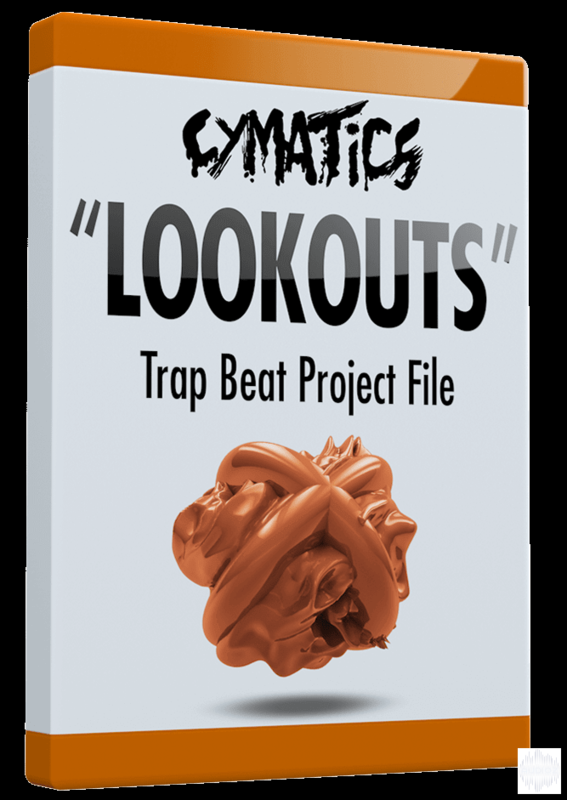 Cymatics “Lookouts” Trap Beat Project File ALS LOGIC FLP has been exclusively released on AudioZ by Engincan who chose to ask not to post mirrors. A strange set out project, but really good.